OTTAWA -- A member of the Manitoba legislature and former federal cabinet minister is taking a page from Maxime Bernier's playbook and becoming the leader of a new party. Steven Fletcher has taken over the leadership of the Manitoba Party after finding himself on the outs with the federal and provincial Tories. Fletcher said there will be more than one person in his caucus and there are many others already involved -- but won't reveal their identities, only saying it is "a group of people that is impressive." He said the main focus of his party will be fighting the provincial government's plan to introduce a $25-per-tonne flat carbon tax later this year. Fletcher was a Conservative MP for 11 years before losing his Winnipeg seat to the Liberals in 2015. He spent five of those years as a minister of state in Stephen Harper's cabinet. In 2016, he won a seat as a Progressive Conservative in Manitoba's provincial election, but was removed from caucus one year later after publicly breaking the party line on a number of issues. He now sits as an Independent. The only other Independent in the Manitoba legislature, Mohinder Saran, said Tuesday he would not be joining Fletcher's party. Fletcher has repeatedly slammed a carbon tax as bad public policy, a stance that is in line with the federal Conservatives. However the federal party decided over the summer not to allow Fletcher to run for them again in the next election. 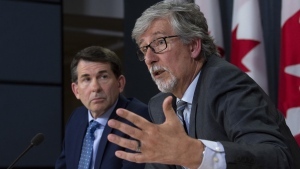 After the rejection, Fletcher said he considered joining the party Bernier has vowed to create in the wake of his high-profile, and acrimonious split from the federal Tories last month. For now, he is staying in provincial politics. 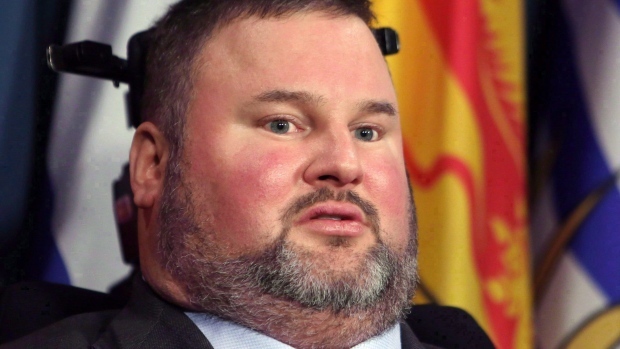 "I don't know what Maxime is doing, but depending on what he has to say when he launches his party, we may be the sister to his party," said Fletcher. Bernier's main organizer Martin Masse said they wish Fletcher well, but have no intention of having a provincial wing of their new party. Fletcher is promising to run candidates in all 57 Manitoba ridings in the 2020 provincial election. A new website is up, he has brochures and buttons and said he intends to officially launch the party before the legislature resumes sitting in early October. Various groups have used the Manitoba Party moniker in past elections, but Fletcher said no one previously active in the party is still involved in its operations. Fletcher's power grab has left some of the party's former board confused. Board member Wayne Sturby, who ran as a candidate for the party in 2016, said no one he has talked to is aware of Fletcher's move to become leader. The board last met in June, he said, and there was no talk of Fletcher joining or taking over leadership of the party. "It comes as quite a surprise to me," Sturby said, after seeing the revamped web site with Fletcher's name on it. "That is an absolute mystery." Fletcher said he has followed all the required provincial election rules and left it to Elections Manitoba to clear up the confusion. Elections Manitoba confirmed a change of leadership at the party, but refused to say who the new board members are or who signed the required documents. Fletcher also refused to release any documentation behind his leadership takeover because he said it is not normal for parties to publicly release internal documents. One way to change leaders under Manitoba's Election Financing Act is to have the outgoing leader and the party president simply sign a form notifying Elections Manitoba of the change. The Manitoba Party ran 16 candidates in the 2016 provincial election under Gary Marshall, who was listed as leader as late as Tuesday morning, and did not come close to winning a seat.